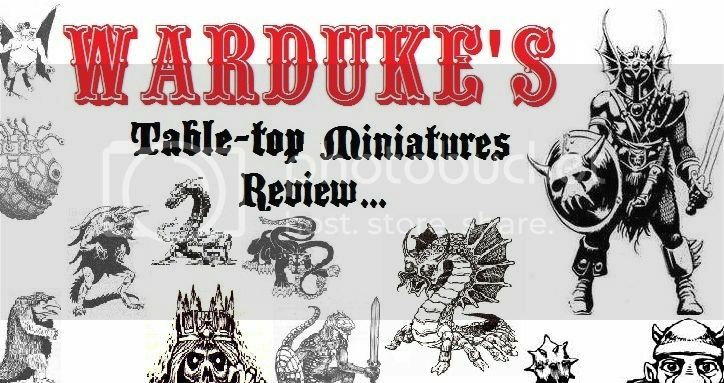 Hello all, and welcome back to War Duke’s table-top miniatures review. I know this was supposed to have been a monthly article, but in between having to move recently, worrying with my dad’s surgery, dealing with an impacted wisdom tooth *and* the holiday rat-race, I haven’t had much time to get this thing done. So without further adieu, let’s get this show back on the road and in proper form. WD: I’d like to start by welcoming our guest Matthew Solarz, whom I recently reviewed in part one of this discussion; covering his CenterStage Miniatures product line. Thank you Matt for taking the time out to speak with us here at Nerd-Trek. MS: Thanks for your interest in CSM! WD: You’re most welcome. So Matt, how did you get into the hobby of miniatures? WD: I have quite a few of those old grenadier boxed sets myself,they were truly awesome! So, was D&D your first influence towards fantasy and gaming? MS: Yep. I spent more time admiring the books and artwork and collecting the miniatures than actually playing, though. Growing up in a parochial school, it was tough to find other gamers who wanted to talk about swords and wizardry. 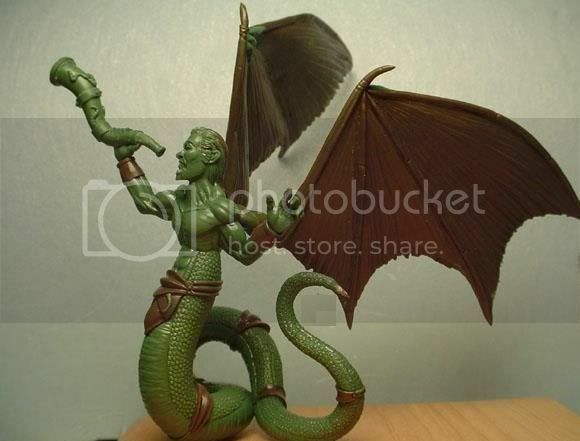 MS: I used to peruse the pages of Dragon Magazine and list all of the miniatures I wanted to collect. The old Citadel Fiend Factory range…and later the Citadel AD&D range and Ral Partha 11-Series. All good stuff – and still part of my collection today. WD:Those were really fantastic miniatures for the time. So when did you get the bug to start designing your own? MS: It was probably 6 or 7 years ago, when I stumbled across the internet forums and realized there were thousands of people who loved old-school fantasy, miniatures and RPGs in particular. At the time CSM was conceived, another very well known old-school miniature manufacturer had just released the first of their giants range. WD: is there a lot of competition in your line of work? MS: There is a lot of competition with miniatures in general, but for the most part, there is camaraderie. I am proud to distribute Secret Skeleton Miniatures, which might normally be considered a “competitor;” Wes is a good guy, and I’m glad to help put his miniatures out there. I’ve got plenty of miniatures on my shelf from other “old school” miniature companies – got some Otherworld Miniatures in the collection, too. Love his drow and that Demon Idol, definitely first-rate. WD: I must admit, CSM’s minis really stack up nice,comparatively speaking. MS: Thank you. There’s plenty of room out there for all of us. Never can have enough quality old-school fantasy figures. WD: Matt, if you don’t mind, I’d like to ask about your recent Kickstarter, if I may. What we should expect to see in the upcoming line, based around it’s success. MS: Well, for starters – and this might be a shock – I don’t plan to continue the Demons & Devils range. I think the KS fleshed out all of the types of characters and baddies I could ever hope for all by itself. The miniatures contained in the Kickstarter will constitute the bulk of our releases for 2013; we’ll concentrate on getting them out to the public once all the rewards are filled. Then, we’ll concentrate on re-releasing all of the Julie Guthrie Fantasy Personalities and the old Goodman Games DCC miniature range in 2013 as well. But as far as “new” Demons and Devils not seen in the KS, we don’t have any planned. WD: the ones I’ve seen are truly astounding. It’s a shame we won’t get to see more of those anytime soon. MS: There are still plenty more that you haven’t seen, so hold on to your hat! WD: I’ll be sure to keep that in mind. MS: We’ll be continuing our successful Giants range in 2013, as well. We’ve got Storm Giants, Jungle Giants, Fire Giants, and Fomorians coming up this year. Many of them will also include a 1st Edition Adventure Module from Pacesetter Games in their initial release. WD:Nice! Can’t wait to see what you have in store for us then. MS: I can’t either! Even with four years under my belt as a mini-maker, each new sculpt that arrives is like Christmas morning. WD: Speaking of sculpts, or sculptors to be more specific, I noticed that a majority of your work is done by Federico and Nicolas Genovese. I have to admit, the work these guys are doing is absolutely stunning! WD: OK, two things I wanna ask about specifically. 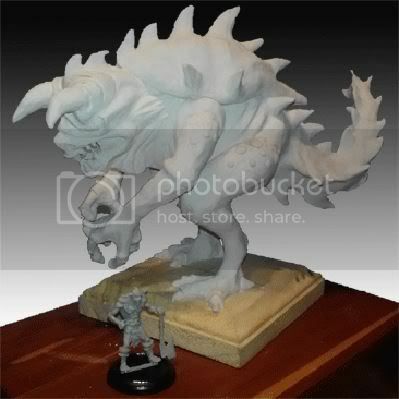 I noticed you’re working on both a version of Tiamat and a huge tarrasque in the upcoming line. They look gigantic based on photos, how big are they going to be and will they be reasonably affordable to the average collector? WD:As my good friend Mick Leach would call them,”table-slammers”. MS:Ha ha ha….Table breakers, if they were cast only in metal. Both are definitely designed to be collector’s items and the centerpieces of a collection. WD:So what are your future plans for CSM? MS:Well, in 2013 we’ll be working on re-releasing the vintage Guthrie figures I acquired from MegaMinis this fall; we’ll also be introducing two new Kickstarters. One for the Torn World miniatures range and another for the Dwarven Kegg Brothers. The Torn World is a very interesting campaign setting for the Pathfinder RPG; the Kegg Brothers are a secret. But if you like Dwarves, you’ll like them. WD:Oh we here at Nerd-Trek love our dwarves! This should be quite an exciting year for Center Stage. MS:I’m hoping so. We’re doing some things other than “old school fantasy” next year, so it will be interesting to see how our fans and friends in the miniatures community respond. WD: Before we go, is there any advice you’d like to give those who’re thinking of breaking into the business? MS: It’s a labor of love, and the majority of us aren’t getting rich. Make sure you love what you’re doing, as it’s a long road. Rewarding – and expensive – but long. And you make a lot of great friends in the process. WD:Well thank you for giving us the chance to speak with us, Matt. It’s been quite the pleasure getting to talk with you today. MS: Thanks for taking the time! Always enjoy talking with fellow gamers and miniature enthusiasts. Well I guess that about wraps it for December’s review folks, stay tuned for next month’s article and while you’re at it, be sure to check out the Center Stage Miniatures website at http://www.centerstageminis.com/catalogtrial/index.php or find them here http://www.facebook.com/CenterStageMiniatures?ref=ts&fref=ts on Facebook. Until next month,keep rolling those perfect 20’s my friends!